Sal Campbell, a Learning Development Tutor at Birkbeck explains what Learning Development Tutors do and how students can use the resources available to them. What if I told you I knew how you could work a little less on your degree and get better results? Imagine someone wants you to bake them a cake. You know about cakes, having eaten many of them, and you’ve been given all the basic ingredients – but not a recipe, because they thought you already have one. You don’t- but you know it involves mixing everything together and there’s an oven involved, but beyond that, it’s pure guesswork. You assume that it must be straightforward because other people seem to know what they’re doing, and you’re not going to admit you don’t know the method, because how hard can baking a cake be? So you give it a go, but it’s all a bit stressful and the result is… well, cake-like, but it’s not the best cake you could have baked, compared to if you’d had the recipe in the first place. Birkbeck isn’t a bakery, but we do expect you to produce essays and assignments with all the ‘ingredients’ – the knowledge and skills we are trying to teach you on your courses – to prove your abilities. This can be a stressful and frustrating process if you’re not familiar with how to go about it, or it’s been a while since your first degree, and sometimes this means your ideas and understanding – which is really what your lecturers are interested in – don’t shine through as much as they could. Across all subject assignments, as well as assessing your understanding of the content of your courses, lecturers are also assessing how well you can perform various academic skills, such as how to structure an essay, your use of correct academic English, correct referencing and citation, evidence of critical thinking and so on. We want to know that you can read and understand; that you can think critically; we want to know how well you can articulate and substantiate your own arguments, and how well you can write. These are not personal qualities you either do or don’t have – they are skills that can be learned, and the fundamentals can be learned easily and quickly. As a Learning Development Tutor, I think it’s a tragedy when students are clearly motivated, hardworking, diligent and able – in short, they have all the ingredients they need to reach their potential – but they don’t know how to go about it. As a result, their efforts miss the mark, and they don’t get the grade they are capable of. The only thing missing is a kind of ‘academic capital’; it is freely available information. 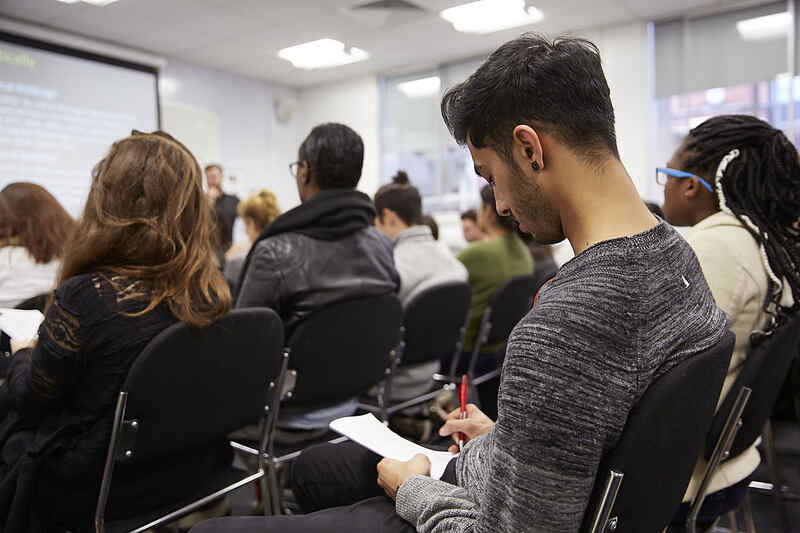 Students often mistakenly believe that coming to study skills workshops is what you do if you need ‘support’, and you are not independently able to do your degree – whereas nothing could be further from the truth. Study skills tutors are academic specialists, the methodologists of academia. We are the equivalent of personal trainers for your studies, and our whole purpose is to show you how to optimise the quality of your work. Your course lecturers are experts in the content of your degree – they teach you what. We are the experts in how to do your degree, and we can show you how to do it to a higher standard and in less time than you can work it out for yourself. Studying at university is hard work, and it is expensive – so play to win. Use the resources and services available to you to maximise your chances of doing the best you can. Don’t sweat in the library hour after hour trying to work out how to do your assignment, when you can come to a workshop, meet with a tutor, or look at the huge wealth of online resources available to find out what you need to know right now. Our resources, workshops and tutorials are freely available. Take a look at the Birkbeck Study Skills webpage and Moodle module, the Study Skills workshop timetable, and just see what’s available. So many students I meet don’t realise how much it can help, or how easily and quickly they can access it. Do yourself a favour – just invest a little time in investigating what is available, and if it looks helpful, pick three things to look at in more detail. Read what the lecturer feedback says on your essays and assignments and choose one or two things to improve on your next assignment, and look for resources to help with that. As Birkbeck students, we know you are as busy as you are dedicated, and we want to help ensure that your hard work and dedication pays off. Let’s do this right: the information is there and it works – all you have to do is take a look. Category: Uncategorized Tags: birkbeck, development, learning, students, studying, support, tutor, university by Jess.